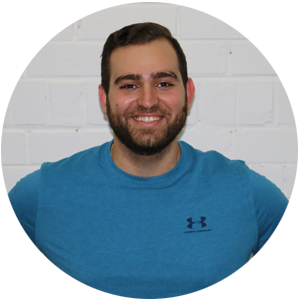 Itay is certified with Can Fit Pro and GLPTI with a Kinesiology background from York University and years of personal training experience from companies such as Goodlife Fitness. Itay sought out to start something of his own. This company he states is to provide individuals quality service unmatched by these big corporate chains that simply wish to sell you then leave you to whatever fate. MBS follows up with you and helps you grow through every step in your journey whether it be fitness or rehabilitative in nature. A place where experts and individuals with the burning desire can meet to achieve their goals. Chris is an Accredited Exercise Physiologist (AEP) and Accredited Exercise Scientist (AES), graduating from the University of New South Wales in Australia. 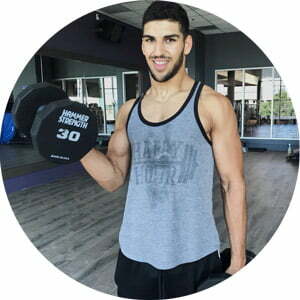 In conjunction with his university education, he is also a Strength and Conditioning Coach and Fitness Trainer working with different clients and athletes in his career. Through working in both rehabilitation and strength and conditioning, he developed his philosophy for optimal athletic development. This is through the combination of sports specific strength training and biomechanical optimisation. This allows his athletes to develop and adopt more efficient movement patterns, increasing their ability to develop strength, power, and speed. Working very closely with powerlifters, weightlifters and field sports, he has empowered his athletes to achieve amazing results. We are excited for Chris to be working closely with MBS Fitness and Rehabilitation to guide our clients to amazing results. After being involved in Taekwondo and lacrosse in my younger years, I got into weightlifting in 2010 during my undergrad in engineering. As soon as I started getting results I was hooked, and that passion eventually led to getting a PT certification in 2015 during my Master’s degree. My knowledge of health and fitness grew exponentially once I got into powerlifting, veganism, and yoga, and I love seeing the fire within others grow when I share that knowledge with them. I’ve always pushed hard to reach my goals and I promise to help you do the same. My health and fitness journey began at a young age when I discovered my love for martial arts. I have been a dedicated high performance Judo athlete ever since, and have spent time traveling all across the world to learn from the best and compete on the highest International level of competition. This desire to perform in martial arts has driven me to the health and fitness world with the goal of maximizing physical performance, pushing the limits of physical capability, and broadening my knowledge on the importance of several different training methods and how they can be incorporated into any program to not only make exercising fun, but also safe, effective, and efficient. This sport specific background gives me the ability to incorporate a large variety of training methods and variations into a program in order to reach each individual goal of any client that may walk through the front doors of MBS. With the right amount of determination and self-discipline, any goal is achievable within the appropriate time frame. This mindset has fueled my passion to help others in health and fitness, as I understand that many individuals can benefit greatly from the motivation and knowledge that a true fitness professional as myself can bring to the table (or to the gym in this case). My name is David Sikoev and I am one of the elite trainers here at MBS Fitness. I truly believe that fitness is not about being in competition with others, but its about being in competition with yourself. It is about working hard every time you step into a gym so that you can be a better you than you were the day before. I truly believe that the gym is the one place where if you 100% put in the work you will 100% get the results. I love helping push and coach hard-working individuals to achieve their goals. 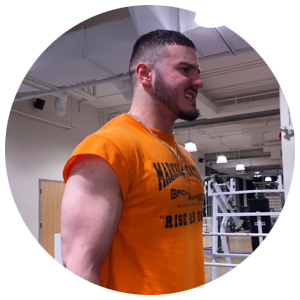 I am currently a 2nd year student who will be attending York University to study Kinesiology. I look forward to meeting many more hardworking individuals and together we can help you work towards a better version of yourself. 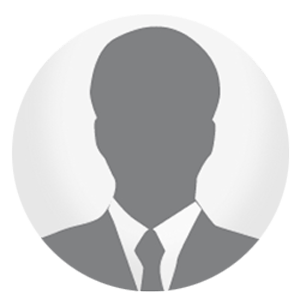 Aaron is a Registered Kinesiologist in good standing with the College of Kinesiologist of Ontario and the Ontario Kinesiology Association. He graduated from York University with a degree in Kinesiology and Health Sciences. Aaron has been a personal trainer since 2017 and has experience with bodybuilding level nutrition and competition preparation as he had previously competed in a Natural Men's Physique competition. He is also a Level 1 Certified Fascial Stretch Therapy (FST) Practitioner. 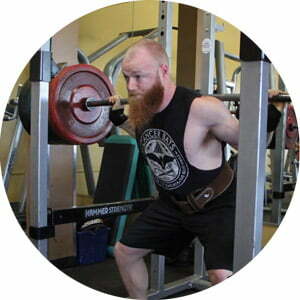 His passions are in improving the quality of life in all clients through exercise and FST. Outside the gym, Aaron concurrently works at a physiotherapy clinic and plays recreational hockey, sniping goals twice a week. Whether you're looking for a competition ready body or just to improve your health, flexibility, and overall quality of life, Aaron can help you achieve your goals. Memberships– MBS Fitness & Rehabilitation is a specialized facility, therefore, we offer limited spots for individuals wishing to use the facility privately. However, if signed up with a personal trainer the facility is yours’s to use at the discretion of your trainer. Spots will be available until notified otherwise. Sign up before it’s too late!